Local taxes and fees that are paid for transportation often are perceived by those paying to be really burdensome, and the related service is considered inadequate. (Key the complaints about the Road Commission and Ann Arbor potholes.) Yet, those are usually only a small fraction of the cost. The main cost is borne by the Federal Government, and the State of Michigan. The Federal transportation bills which provide for transportation are always contentious and provide Congress with some good old-fashioned wrangling, as legislators try to get the best for their own regions. In spite of this, Congress managed to pass a new surface transportation bill, known as MAP-21, in the summer of 2012. It expires at the end of FY 2014 (September 30, 2014). Here is SEMCOG’s page on MAP-21. MAP-21, or the surface transportation act, is basically what we think of as the “gas tax”. The formal name is the Highway Trust Fund, and the money available has been shrinking as (believe it or not) total gas consumption has been declining. There are efforts to recast the funding mechanism but this will be contentious. 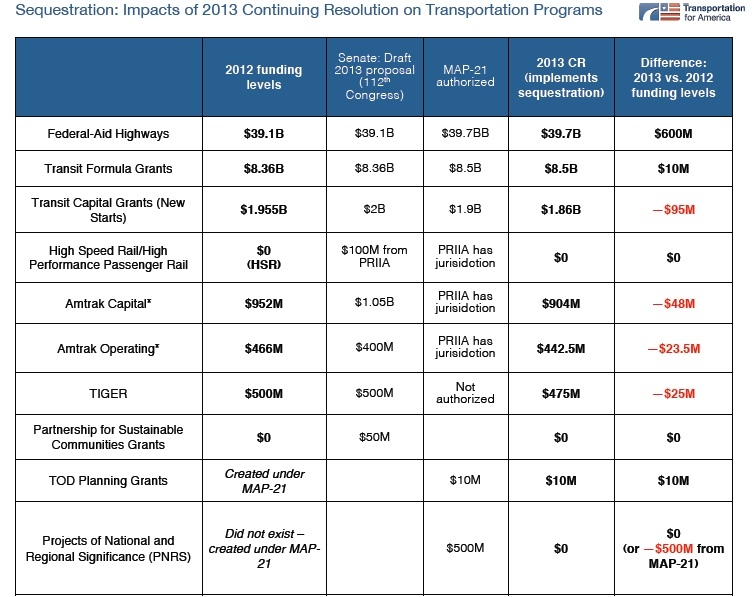 Much of MAP-21 relates to roads and bridges, but it is crucial to transit systems because this is where Federal formula funds for day-to-day operation, and also capital funds for transit purposes, are allocated. See a helpful memo by AATA’s Chris White about the effects of MAP-21 on AATA’s finances. General note: it is helpful to remember that all transportation agencies have fiscal years consistent with the Federal fiscal year, which begins October 1 each year. Many municipalities in Michigan use either a calendar year FY (January) or a mid-year FY (July). This can cause some coordination issues. In a recent audit of infrastructure by the American Society of Civil Engineers, the country’s roads and transit systems each got a grade of D. Bridges and rail were upgraded to C+, two of the brightest spots in the overall audit, which is not saying much. For most observers, the state of the nation’s roads and bridges is a higher concern than transit systems, and most of MAP-21 is directed to roads. 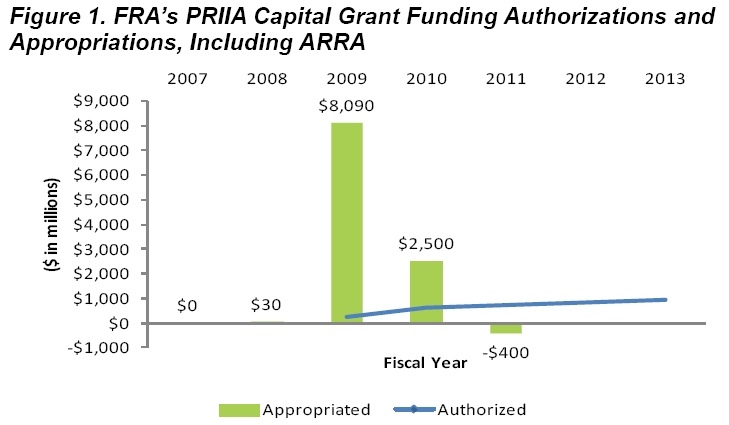 In addition to these funds, transportation projects got a big boost from President Obama’s stimulus program, the American Reinvestment and Recovery Act of 2009, commonly called ARRA. This was quite a bonanza for local governments. AATA received $6,474,089 (some of this was spent on Park and Ride improvements, some on the UM transit center, and new buses were purchased; ARRA also helped with some operating funds). (For an overview of AATA grant proceeds through FY 2011, see AATA Grant History 2007 to 2011.) It is important to remember that ARRA expired at the end of 2010 and Congress seems unlikely ever to renew it. Some funds may still be disbursed within separate grant awards, though Congress did withdraw some unexpended funds as part of the budget cuts of 2011. With MAP-21 scheduled to expire in 2014, and with Federal budget talks continuing, it seems most prudent to assume that current funding may not continue forever. Here is a provocative article that discusses Federal vs. state and local funding. Note the distinction between “appropriated” and “authorized”. Congress appropriates funds within budget bills, but the agency must authorize their use through grants. As can be seen from this graph from a report of DOT’s Inspector General, the big injection of capital grants ($8 billion) was during the 2009 stimulus, but little has been made available since then. As shown in the table, Amtrak funding has been cut. PRIIA has changed the rules on funding shorter lines, which include the Wolverine (the line that goes through Ann Arbor between Detroit and Chicago). Beginning this year, Michigan is obligated to make up the difference between revenue and operation of the Wolverine (the operating deficit). According to this summary, that is $17 million. (Ridership on the Wolverine has increased 15% since 1997, but that does not erase the operating deficit.) This is significant to us locally, because though the Governor’s budget calls for rail funding, the revenue to pay for it has not yet been identified. More on that when we discuss State of Michigan funding. For a history of passenger rail and much useful data, see the recent Brookings Institution study. AATA has traditionally not used credit (floating bonds, etc.) for projects, but has relied on Federal grants for capital projects. Those traditional grants required a 20% “local match” but were otherwise found money. If they began to take on debt (which was proposed in the implementation plan for the TMP), they could encumber fares and tax revenues to pay off that debt. That could potentially change the landscape quite a bit. Still to come: State of Michigan transportation funding, still unknown territory. The Transportation Investment Generating Economic Recovery (TIGER) grants have been an important source of capital investment for transportation projects, and were originally part of ARRA. However, they have survived, though with reduced amounts, into the present day. As indicated in the comment, Ann Arbor received $13.9 million in FY 2010 for the Stadium Bridges. That was very nice, since these grants are highly competitive. In the FY 2012 round, DOT received 703 applications requesting a total of $10.2 billion. They awarded 47 applicants grants of a total of $500 million. In other words, about 1 in 15 applicants received grants. According to Transportation Issues Daily, 16% of the funding went to transit projects, and 13% to passenger rail projects. Roads and bridges got 35%, with the rest divided between ports, multimodal (includiing bicycle and pedestrian) projects, freight rail, and special set-asides for rural areas and tribal governments. The FY 2013 TIGER projects will evidently be advertised in May. Look for an avalanche of applications. SECOND UPDATE: Here is an article from the Atlantic with a brief discussion of President Obama’s transportation budget. Keep in mind that his budget probably bears very little congruence to anything finally approved by Congress. THIRD UPDATE: MAP-21, the Federal Highway Trust Fund enabling legislation, is due to expire at the end of September 2014. The DOT has published a chart showing the decline of funding both for highway projects and for mass transit to zero by then. This entry was posted on March 31, 2013 at 5:50 pm and is filed under civic finance, Transportation. You can subscribe via RSS 2.0 feed to this post's comments. You can comment below, or link to this permanent URL from your own site. WOW!!!!!!!!!! BRILLIANT, ABSOLUTELY, POSITIVELY BRILLIANT!!!!! Thank YOU, Vivienne!!!!!!!!!!! Thanks, Jane. I think most people would just say it is awfully dense. Gotta love legislation and dollar figures to read it. That probably qualifies you. I remember there was TIGER funding allocated for that dilapidated old eyesore in the Fourth Ward known as the Stadium Bridge. President Obama after addressing the U-M graduates during commencement actually rode over that bridge. I remember irate motorists stuck in traffic yelling at Congressman Dingell when he tried to hold a ceremony at the Stadium Bridge afterhe secured funding for it. The TIGER funding on the Stadium Bridge was researched and reported on by Pat Lesko on A2Politico. Is the project now complete? Were there any more recent funding glitches? Did the Hieftje administration deserve all the self-congratulations for obtaining the TIGER grants? Thanks for the pointer. A2Politico’s announcement that Ann Arbor lost its TIGER II grant was mistaken. According to the US DOT TIGER website, Ann Arbor was awarded a capital grant of $13.9 million for FY 2010 (beginning October 2009). According to the City of Ann Arbor’s website, the first public meeting about the bridge project was on October 28, 2009. East Stadium opened again to traffic on November 12, 2012. There are a few clean-up tasks still listed for this spring. The city’s site says funding was from the TIGER grant, the State of Michigan, and the city’s road reconstruction millage. I didn’t find a budget in my brief search. Thank you Vivienne. Another well written and informative piece.